Evolved from nearly 50 years of empirical study and 15 years of clinical research, the Activator Methods Chiropractic Technique (AMCT)® uses the latest advances in orthopedic, neurological and chiropractic examinations to seek joint dysfunction in the spinal column and extremities for improved patient care. 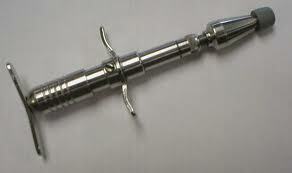 AMCT uses the Activator Adjusting Instrument® to give consistent low-force, high-speed chiropractic adjustments. Learn more about the Activator Method and the conditions it treats.